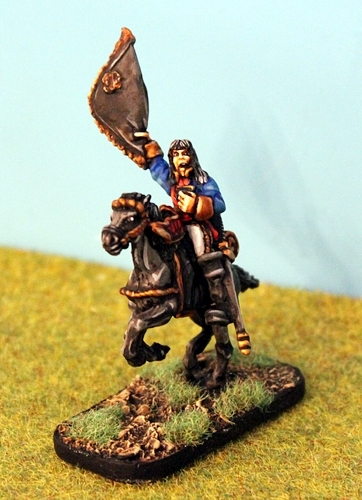 Now released for Flintloque and Slaughterloo the first new code in the army project for this year from Alternative Armies. 52517 Von Rotte Command Set. Six Dwarves (four on foot and two mounted on pigs) ready to lead your infantry into battle. 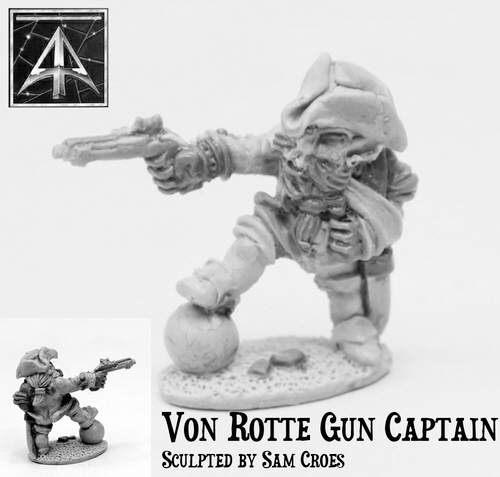 We will have a new release into the Von Rotte each month until the whole army is complete. Click through to read the whole article and to see a lot more images. I would like to thank everyone for their support last year and into this year. Alternative Armies recently announced the whole 28mm Dwarf Von Rotte Legion was coming in 2015 for Flintloque. This begins on Christmas Eve with a pre-order offer of 20% off release price (three days only actual release on 8th January 2015) on the awesome 52517 Von Rotte Command Set. Click through to read the whole article where the code is previewed and the offer explained. Flintloque is going to grow a lot in 2015! The Tyrant Emperor Mordred now has a free to download PDF of statistics and more for Flintloque and Slaughterloo. Click through to get it and read more. There have been mutterings roaming around Alternative Armies in the past few weeks that something big was brewing for Flintloque and Slaughterloo. Perhaps it was from cryptic emails or from the release of our first new Dwarf miniature in several years (52014 Heinz DerMead) that gave fuel to the fire but in any case the time is now here to tell you all what we have been working on. 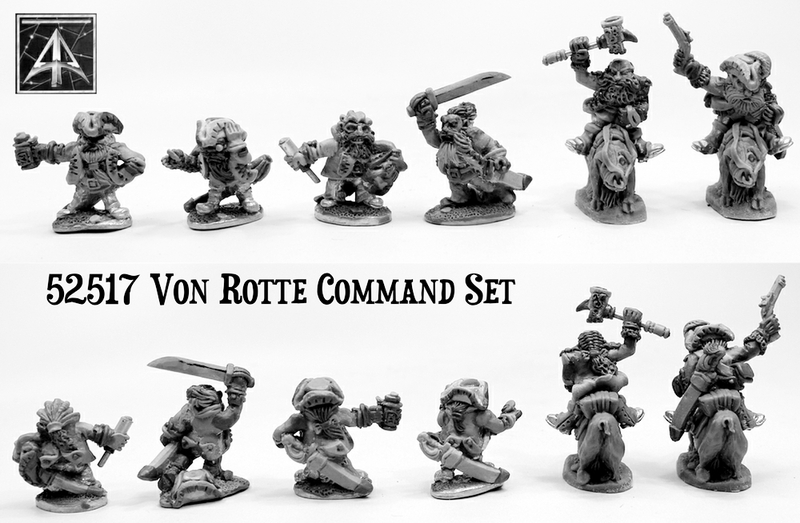 Our big plan for the first part of 2015 for Flintloque and Slaughterloo is....The Von Rotte Legion! Click through to read and see more. Following up on the Lergo Jagers last month Alternative Armies presents the great Lergo Artillery Crew. Six 28mm scale miniatures in white metal and two of our brand new resin Muskox as well. Trolkin for use in Flintloque and Slaughterloo; bring the fyre down on the foe. Lots to read and links to follow. We hope you like these stony chaps as much as we do. Designed by Rob Alderman.